The nation in wartime attains a uniformity of feeling, a hierarchy of values culminating at the undisputed apex of the State ideal, which could not possibly be produced through any other agency than war. If the State's chief function is war, then it is chiefly concerned with coordinating and developing the powers and techniques which make for destruction. And this means not only the actual and potential destruction of the enemy, but of the nation at home as well. If it were not for this troublesome activity of youth, with its hatred of sophisms and glosses, its insistence on things as they are, society would die from sheer decay. It is the policy of the older generation as it gets adjusted to the world to hide away the unpleasant things where it can, or preserve a conspiracy of silence and an elaborate pretense that they do not exist. But meanwhile the sores go on festering just the same. Youth is the drastic antiseptic… It drags skeletons from closets and insists that they be explained. No wonder the older generation fears and distrusts the young. In this conflict between youth and its elders, youth is the incarnation of reason pitted against the rigidity of tradition. Youth puts the remorseless questions to everything that is old and established,—Why? What is this thing good for? And when it gets the mumbled, evasive answers of the elders, it applies its own fresh, clean spirit of reason to the institutions, customs, and ideas, and finding them stupid, inane, or poisonous, turns instinctively to overthrow them and build in their place the things with which its visions teem. In your reaction to an imagined attack on your country or an insult to its government, you draw closer to the herd for protection... you fix your adoring gaze upon the State...the quasi-personal symbol of the strength of the herd, and the leader and determinant of your definite action and ideas. It cannot be too firmly realized that war…is the chief function of States. … War cannot exist without a military establishment, and a military establishment cannot exist without a State organization. Randolph Silliman Bourne (30 May 1886–22 December 1918) was a progressive writer and leftist intellectual born in Bloomfield, New Jersey, and a graduate of Columbia University. Bourne is best known for his essays, especially his unfinished work The State, discovered after his death. Randolph Bourne, “Youth,” The Atlantic Monthly 100, no. 4 (April 1912). How shall I describe Youth, the time of contradictions and anomalies? The fiercest radicalisms, the most dogged conservatisms, irrepressible gayety, bitter melancholy,—all these moods are equally part of that showery spring-time of life. Page 437. Quote republished in "Left and Right: The Prospects for Liberty," Left and Right: A Journal of Libertarian Thought 1, no. 1 (Spring, 1965), pp. 21–22. Youth is the leaven that keeps all these questioning, testing attitudes fermenting in the world. If it were not for this troublesome activity of youth, with its hatred of sophisms and glosses, its insistence on things as they are, society would die from sheer decay. It is the policy of the older generation as it gets adjusted to the world to hide away the unpleasant things where it can, or preserve a conspiracy of silence and an elaborate pretense that they do not exist. But meanwhile the sores go on festering just the same. Youth is the drastic antiseptic. It will not let the elders cry peace, where there is no peace. By its fierce sarcasms it keeps issues alive in the world until they are settled right. It drags skeletons from closets and insists that they be explained. No wonder the older generation fears and distrusts the younger. Youth is the avenging Nemesis on its trail. Page 438. Quote republished in "Left and Right: The Prospects for Liberty," Left and Right: A Journal of Libertarian Thought 1, no. 1 (Spring, 1965), p. 22. The secret of life is then that this fine youthful spirit should never be lost. Out of the turbulence of youth should come this fine precipitate—a sane, strong, aggressive spirit of daring and doing. It must be a flexible, growing spirit, with a hospitality to new ideas, and a keen insight into experience. To keep one's reactions warm and true, is to have found the secret of perpetual youth, and perpetual youth is salvation. Page 441. Quote republished in "Left and Right: The Prospects for Liberty," Left and Right: A Journal of Libertarian Thought 1, no. 1 (Spring, 1965), p. 22. Randolph Bourne, “The Price of Radicalism” (a review of Seymour Deming's The Pillar of Fire), The New Republic (11 March 1916). Intellectual radicalism should not mean repeating stale dogmas of Marxism. It should not mean the study of socialism. It had better mean a restless, controversial criticism of current ideas, and a hammering out of some clear-sighted philosophy that shall be this pillar of fire. The young radical today is not asked to be a martyr, but he is asked to be a thinker, an intellectual leader. So far as the official radicals deprecate such an enterprise they make their movement sterile. Yet how often when attempts are made to group radicals on an intellectual basis does not some orthodox elder of the socialist church arise and solemnly denounce such intellectual snobbishness. The State is a jealous God and will brook no rivals. Its sovereignty must pervade everyone and all feeling must be run into the stereotyped forms of romantic patriotic militarism which is the traditional expression of the State herd-feeling. We cannot crusade against war without crusading implicitly against the State. The American Revolution began with certain latent hopes that it might turn into a genuine break with the State ideal. The Declaration of Independence announced doctrines that were utterly incompatible not only with the century-old conception of the Divine Right of Kings, but also with the Divine Right of the State. … If revolution is justifiable a State may even be criminal sometimes in resisting its own extinction. The President is an elected king. War is the health of the State. It automatically sets in motion throughout society those irresistible forces for uniformity, for passionate cooperation with the Government in coercing into obedience the minority groups and individuals which lack the larger herd sense. The machinery of government sets and enforces the drastic penalties. … [I]n general, the nation in wartime attains a uniformity of feeling, a hierarchy of values culminating at the undisputed apex of the State ideal, which could not possibly be produced through any other agency than war. Other values such as artistic creation, knowledge, reason, beauty, the enhancement of life, are instantly and almost unanimously sacrificed, and the significant classes who have constituted themselves the amateur agents of the State, are engaged not only in sacrificing these values for themselves but in coercing all other persons into sacrificing them. ¶11. Published under "War and the Herd," The State (Tucson, Arizona: See Sharp Press, 1998), p. 9. In your reaction to an imagined attack on your country or an insult to its government, you draw closer to the herd for protection, you conform in word and deed, and you act together. And you fix your adoring gaze upon the State, with a truly filial look, as upon the Father of the flock, the quasi-personal symbol of the strength of the herd, and the leader and determinant of your definite action and ideas. The members of the working-classes... live habitually in an industrial serfdom, by which though nominally free, they are in practice as a class bound to a system of a machine-production, the implements of which they do not own, and in the distribution of whose product they have not the slightest voice... From such serfdom, military conscription is not so great a change. But into the military enterprise they go...with the same apathy with which they enter and continue in the industrial enterprise. ¶23. Published under "Psychology of the State," The State (Tucson, Arizona: See Sharp Press, 1998), p. 14. It cannot be too firmly realized that war…is the chief function of States. … War cannot exist without a military establishment, and a military establishment cannot exist without a State organization. War has an immemorial tradition and heredity only because the State has a long tradition and heredity. But they are inseparably and functionally joined. We cannot crusade against war without crusading implicitly against the State. And we cannot expect, or take measures to ensure, that this war is a war to end war, unless at the same time we take measures to end the State in its traditional form. … [W]ith the passing of the dominance of the State, the genuine life-enhancing forces of the nation will be liberated. … No one wlil deny that war is a vast complex of life-destroying and life-crippling forces. If the State's chief function is war, then it is chiefly concerned with coordinating and developing the powers and techniques which make for destruction. And this means not only the actual and potential destruction of the enemy, but of the nation at home as well. For the very existence of a State in a system of States means that the nation lies always under a risk of war and invasion, and the calling away of energy into military pursuits means a crippling of the productive and life-enhancing process of the national life. ¶28. Published under "Psychology of the State," The State (Tucson, Arizona: See Sharp Press, 1998), pp. 17–18. All of which goes to show that the State represents all the autocratic, arbitrary, coercive, belligerent forces within a social group, it is a sort of complexus of everything most distasteful to the modern free creative spirit, the feeling for life, liberty, and the pursuit of happiness. War is the health of the State. Only when the State is at war does the modern society function with that unity of sentiment, simple uncritical patriotic devotion, cooperation of services, which have always been the ideal of the State lover. … How unregenerate the ancient State may be…is indicated by the laws against sedition, and by the Government's unreformed attitude on foreign policy. ¶35. Published under "Psychology of the State," The State (Tucson, Arizona: See Sharp Press, 1998), p. 21. Indeed, it is not too much to say that the normal relation of States is war. ¶36. Published under "Psychology of the State," The State (Tucson, Arizona: See Sharp Press, 1998), p. 22, where the term relation is rendered relations. The modern State is not the rational and intelligent product of modern men desiring to live harmoniously together with security of life, property, and opinion. It is not an organization which has been devised as pragmatic means to a desired social end. All the idealism with which we have been instructed to endow the State is the fruit of our retrospective imaginations. ¶44. Published under "Psychology of the State," The State (Tucson, Arizona: See Sharp Press, 1998), p. 25, which omits the Oxford comma in the first sentence. War is the health of the State and it is during war that one best understands the nature of that institution. ¶2. Published under "The Development of the American State," The State (Tucson, Arizona: See Sharp Press, 1998), p. 27. ¶9. Published under "The Development of the American State," The State (Tucson, Arizona: See Sharp Press, 1998), pp. 30–31. Every little school boy is trained to recite the weaknesses and inefficiencies of the Articles of Confederation. It is taken as axiomatic that under them the new nation was falling into anarchy and was only saved by the wisdom and energy of the Convention. … The nation had to be strong to repel invasion, strong to pay to the last loved copper penny the debts of the propertied and the provident ones, strong to keep the unpropertied and improvident from ever using the government to secure their own prosperity at the expense of moneyed capital. … No one suggests that the anxiety of the leaders of the heretofore unquestioned ruling classes desired the revision of the Articles and labored so weightily over a new instrument not because the nation was failing under the Articles, but because it was succeeding only too well. Without intervention from the leaders, reconstruction threatened in time to turn the new nation into an agrarian and proletarian democracy. … All we know is that at a time when the current of political progress was in the direction of agrarian and proletarian democracy, a force hostile to it gripped the nation and imposed upon it a powerful form against which it was never to succeed in doing more than blindly struggle. The liberating virus of the Revolution was definitely expunged, and henceforth if it worked at all it had to work against the State, in opposition to the armed and respectable power of the nation. ¶13. Published under "The Development of the American State," The State (Tucson, Arizona: See Sharp Press, 1998), pp. 33–34. The President is an elected king, but the fact that he is elected has proved to be of far less significance in the course of political evolution than the fact that he is pragmatically a king. … Kings have often been selected this way in European history, and the Roman Emperor was regularly chosen by election. ¶19. Published under "The Development of the American State," The State (Tucson, Arizona: See Sharp Press, 1998), p. 36. One can but look forward to the day when the matters discussed here by Bourne, Dos Passos, and Grieg are looked back upon as nothing but the curiosities and horrors of a pre-civilized society. Chaz Bufe, "Publisher's Notes" (December 1997) in Randolph Bourne's The State (Tucson, Arizona: See Sharp Press, 1998), p. 6.
and hit Goliath square in the forehead with it. War, he wrote, is the health of the state. John Dos Passos, "Foreword" to Randolph Bourne's The State (Tucson, Arizona: See Sharp Press, 1998), p. 2. Randolph Bourne, horrified at the support of the war by so-called liberals and progressives, had insisted that an unconditionally defeated Germany would become a greater menace to European peace; the war itself, he charged, was the only real enemy of American freedom. Leonard P. Liggio, "Why the Futile Crusade?" Left and Right: A Journal of Libertarian Thought 1, no. 1 (Spring, 1965) p. 26. The Randolph Bourne Institute (RBI) seeks to honor Bourne's memory by promoting a noninterventionist foreign policy for the United States as the best way of fostering a peaceful, more prosperous world. Floyd Dell, Obituary, The New Republic (4 January 1919). Those who are not in some sense of the younger generation will hardly realize what poignancy there is for us in the news of the death of Randolph Bourne. … Randolph Bourne belonged to us, and stood for us, in a way which he perhaps did not fully know, but which we now very keenly feel. It is one of the more subtly tragic aspects of his death, a misfortune not only to a fecund mind that needed free utterance, but to a country which is nearly starved for thought, that he should in these last years have been doomed to silence. He who should have spoken for them—and who might still have spoken for them—went down to the grave voiceless. Michael Grieg, "Introduction" (1946) to Randolph Bourne's The State (Tucson, Arizona: See Sharp Press, 1998), pp. 4–5. Bourne would have none of it. Instead, he scrutinized the ideas he had held in common with them, holding each up to the light—or rather, darkness—about him. War is the health of the State, wrote Bourne, and in his full realization of what that meant, he recognized the roots of modern totalitarianism years before the psychoanalysis of fascism. Jeff Riggenbach, "Randolph Bourne (1886–1918)," The Libertarian Tradition (Auburn, AL: Ludwig von Mises Institute, 17 May 2011), later published as "The Brilliance of Randolph Bourne," Mises Daily (Auburn, AL: Ludwig von Mises Institute, 27 May 2011). His byline was particularly familiar to readers of The New Republic—until his radically antiwar views on the eve of the US government's intervention in World War I got him fired. Randolph Bourne has not been forgotten, not completely. People are still reading his work. They're still talking about his ideas and about his memorable phrases. The most famous of these has gradually become so widely quoted in our culture that millions of people have heard it, even heard it repeatedly, without ever learning who originally wrote or said it: "War is the health of the State." The work that's being done 24/7 at Antiwar.com not only honors Randolph Bourne's contribution to the libertarian tradition; it also helps to assure that that tradition will continue and grow. The other reason [an attack on war or a warlike foreign policy is of crucial importance to libertarians] is that, apart from the nuclear menace, war, in the words of the libertarian Randolph Bourne, "is the health of the State." War has always been the occasion of a great—and usually permanent—acceleration and intensification of State power over society. War is the great excuse for mobilizing all the energies and resources of the nation, in the name of patriotic rhetoric, under the aegis and dictation of the State apparatus. It is in war that the State really comes into its own: swelling in power, in number, in pride, in absolute dominion over the economy and the society. Society becomes a herd, seeking to kill its alleged enemies, rooting out and suppressing all dissent from the official war effort, happily betraying truth for the supposed public interest. Society becomes an armed camp, with the values and the morals—as the libertarian Albert Jay Nock once phrased it—of an "army on the march." Murray N. Rothbard, "War as the Health of the State," §5 of "War and Foreign Policy," ch. 14 of For a New Liberty: The Libertarian Manifesto, 2nd ed. (Auburn, AL: Ludwig von Mises Institute, 2006; orig. 1973, 1978), pp. 347-348. We cannot leave our topic without saying at least a word about the domestic tyranny that is the inevitable accompaniment of war. The great Randolph Bourne realized that "war is the health of the State." It is in war that the State really comes into its own: swelling in power, in number, in pride, in absolute dominion over the economy and the society. Society becomes a herd, seeking to kill its alleged enemies, rooting out and suppressing all dissent from the official war effort, happily betraying truth for the supposed public interest. Society becomes an armed camp, with the values and the morale—as Albert Jay Nock once phrased it—of an "army on the march." 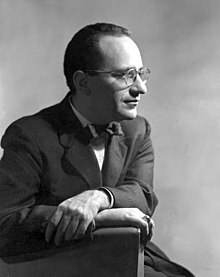 Murray N. Rothbard, "War, Peace, and the State" The Standard (April 1963), republished as ch. 5 of Egalitarianism as a Revolt Against Nature, and Other Essays, 2nd ed., R. A. Childs, Jr., ed. (Auburn, AL: Ludwig von Mises Institute, 2000, orig. 1974), p. 131. Secondly, war has always been the occasion for a huge, catastrophic leap into statism, a leap that occurs during the war and lasts as a permanent legacy afterwards. As the great libertarian Randolph Bourne warned, as we entered the disaster of World War I, "war is the health of the state." Time and again, war and foreign intervention destroyed our ancestors—the classical liberal movement in the eighteenth and nineteenth centuries. In England, Germany, France, and the United States, this tragedy repeatedly took place. In the United States, the big leaps into statism came with war: the War of 1812, the Civil War, World Wars I and II, and the Cold War. Murray N. Rothbard, "The Presidential Campaign: The Need For Radicalism," The Libertarian Forum 12, no. 2, ed. Murray N. Rothbard (New York, NY: Joseph R. Peden, March–April 1980; mislabelled vol. 13), p. 1, adapted from a speech given at the convention of the Free Libertarian Party of New York, in Albany, N. Y. on 29 March 1980. Finally, we must allude to the domestic tyranny that is the inevitable accompaniment of inter-State war, a tyranny that usually lingers long after the war is over. Randolph Bourne realized that "war is the health of the State." It is in war that the State really comes into its own: swelling in power, in number, in pride, in absolute dominion over the economy and the society. The root myth that enables the State to wax fat off war is the canard that war is a defense by the State of its subjects. The facts are precisely the reverse. For if war is the health of the State, it is also its greatest danger. A State can only "die" by defeat in war or by revolution. 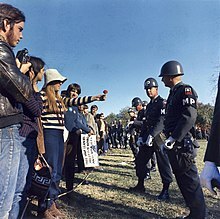 In war, therefore, the State frantically mobilizes the people to fight for it against another State, under the pretext that it is fighting for them. Society becomes militarized and statized, it becomes a herd, seeking to kill its alleged enemies, rooting out and suppressing all dissent from the official war effort, happily betraying truth for the supposed public interest. Society becomes an armed camp, with the values and the morale—as Albert Jay Nock once phrased it—of an "army on the march." Murray N. Rothbard, "On Relations Between States," ch. 25, in "A Theory of Liberty," pt. II of The Ethics of Liberty (New York: New York University Press, 1998, orig. 1982), pp. 196–197. And among all the Western Empires, the British and the American have always been the most adept at the use of phony moralizing to spin a web of excuses for their acts of conquest and to sucker the American and British publics into enthusiastic support of "their" Empires. It is the old trick of inducing the citizen to identify with "his" State; but the trick has always been most effective in time of war, real or imagined. That is just one of the reasons that the libertarian Randolph Bourne, during World War I, called war "the health of the State." Murray N. Rothbard, Part II of "Reagan War Watch," The Libertarian Forum 16, no. 1–2, ed. Murray N. Rothbard (New York, NY: Joseph R. Peden, January–February 1984; Double Issue; mislabelled vol. 18).